8-room house 250 m2 on 2 levels, on the ground floor. Beautiful country house "Podere Rasenna"
The agent describes this villa ; it is also listed in their "Special selection" catalogue so it is one of their most recommended properties. It is also good value for money. 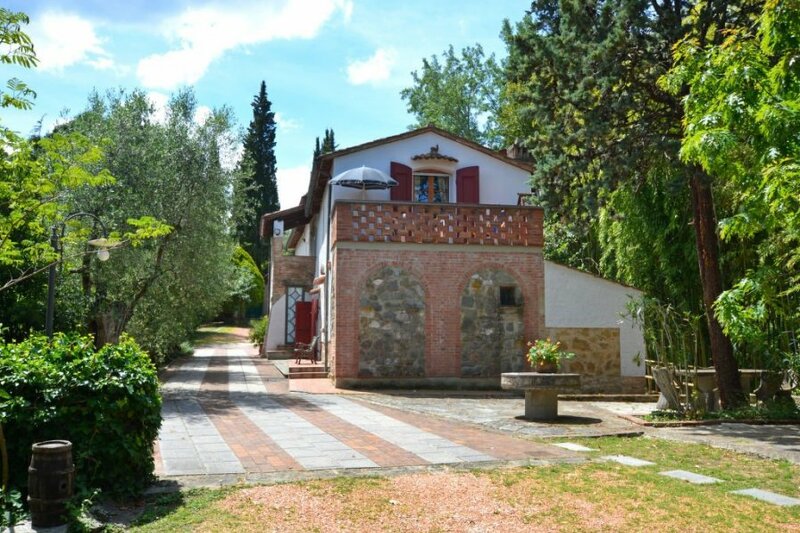 The villa has a private pool and is located in Montopoli in Val d'Arno. The nearest airport is only 42km away. It is set in a very convenient location, only 3km away from the city center. The villa has free wireless internet. You can also park on-site at no extra charge. The villa is well equipped: it has a dishwasher, a microwave, an oven, a washing machine and a TV with international channels. It also has a BBQ, a balcony and a garden.